What do you get kids these days that will not only help you connect with them, but help make a lasting memory? 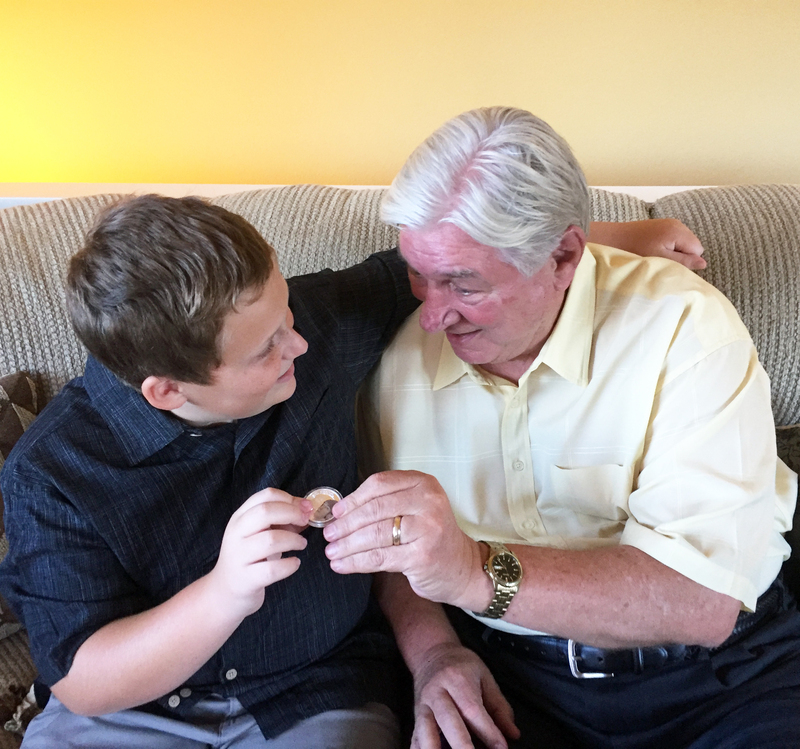 For decades parents and grandparents have engaged the younger generation with gifts like trading cards, stamps and coins as special gifts that they will enjoy for years to come. These gifts are keepsakes that hopefully they will cherish, not discard like a video game after they have mastered. The best part is that every time the grandchild looks at these collectibles, they will think of the person who gave it to them. So many youngsters these days love the game of hockey. They actively follow and emulate the game’s best players. Now, with Upper Deck’s Grandeur™ hockey coins, parents and grandparents can give a hockey collectible that can stand the test of time and will be treasured by the recipient. Kids are fascinated with currency and coins. The Upper Deck Grandeur™ hockey coins are minted legal tender in the Cook Islands. There are four different levels of rarity and the detail the athletes are depicted in is truly stunning. 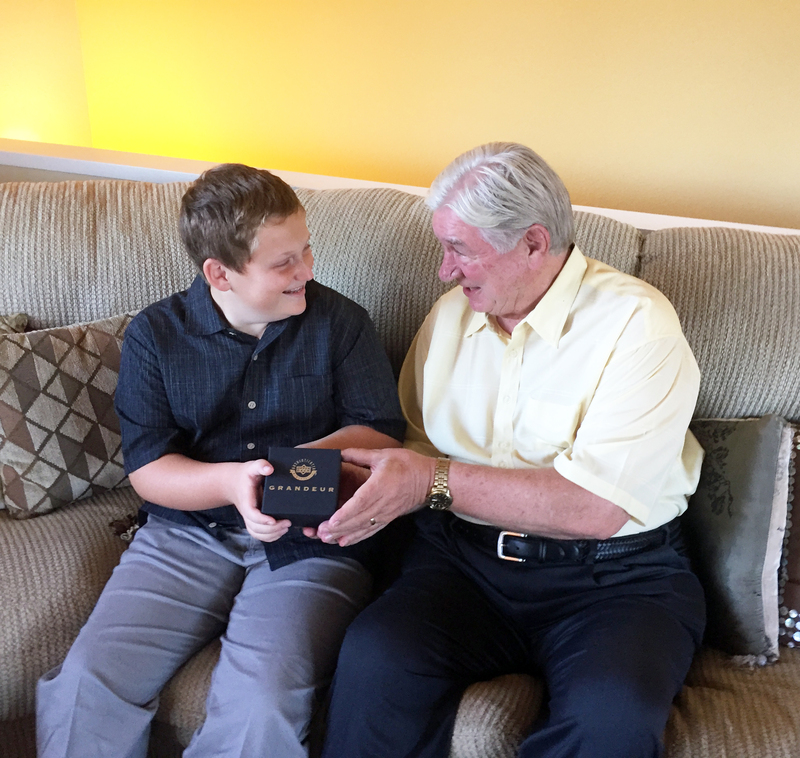 Kids love watching unboxing videos and Upper Deck Grandeur™ coins provide an unboxing experience like no other. Enjoy the excitement that comes from unwrapping Grandeur coins together and discovering the game’s best players! 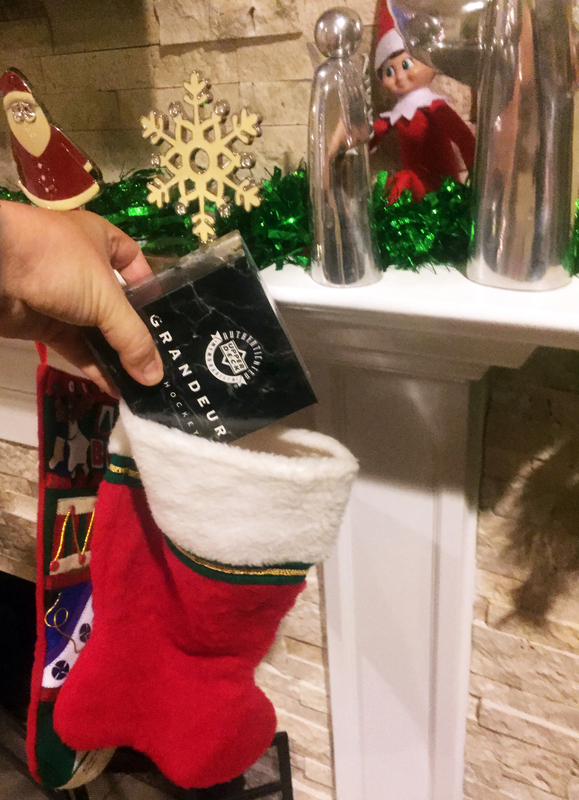 What’s more, Upper Deck Grandeur™ makes for an incredible stocking stuffer! Look at how nicely they fit in normal stockings to surely be the most exciting thing that is discovered inside! With Hanukkah upon us, Grandeur coins make for the perfect gelt gift! Chocolate coins that melt and make a mess are memorable in all the wrong ways. Grandeur™ coins are the perfect Hanukkah gift providing an experience that will be remembered for ages! 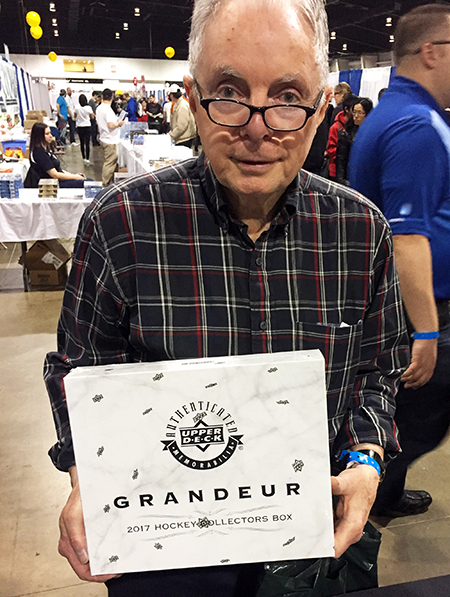 For a VERY limited time, you can score Grandeur™ at a jaw-dropping discount on UpperDeckStore.com! As part of our 12 Days of Holiday Deals, you’ll find blind packs available for just $75.00 and the Grandeur coin box with four random coins for just $450.00 while supplies last. Order today as this offer likely won’t be here for much longer! Grandeur™ has been featured on a variety of sports holiday gift lists this season. Most recently you can see Grandeur™ Hockey Coins featured on the ESPN Holiday Gift Guide and Chanukah Gifts for Everyone On Your List. For more details on Upper Deck Grandeur™ hockey coins, please visit HockeyCoins.com.